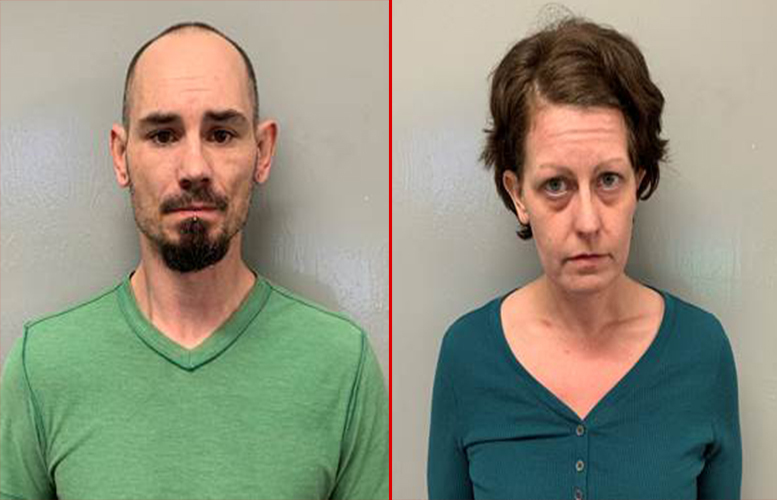 A Pennsylvania man and his wife were arrested with 150 glassine envelopes of heroin in a traffic stop in Paterson early Friday evening. James Fall, 37, and Heather Fall, 38, both of East Stroudsburg, Penn., were each charged with four drug offenses. Officers observed the couple commit an alleged motor vehicle infraction on Rosa Parks Boulevard at around 7:50 p.m. The couple’s black Jeep Grand Cherokee was tailed by the officers. Fall saw the law enforcement vehicle behind and handed over items to his wife who was seated next to him, authorities said. Officers Eric Blesing and Jonathan Kasica conducted a motor vehicle stop at Rosa Park Boulevard and Lawrence Place. The couple was ordered out of the vehicle. Officers suspected the pair may be concealing weapons and conducted a pat down. At this point, the wife confessed the pair had 150 glassine envelopes of heroin and hypodermic syringes. Both were arrested and charged. Drugs seized is valued at $950, authorities said. “Once again, individuals have crossed state lines to go into Passaic County to engage in narcotic activity. The PCSO will continue to arrest any individuals who come into Passaic County in search of drugs,” Berdnik said. They are users. Users need help. Drug dealers need prison. Paterson needs a Police.Forse.that knows how to handle drug dealers. Paterson needs a court system.that doesnt take drug dealings lightly. Drug dealing in Paterson is done in the wide open. the cops cant catch the dealers so to keep appearances and their arrest statistics up they lay down the hammer on the sick users. -Courts in Liberal ran cities look at the drug dealers like the victims. Out of Towners fuel the drug trade in Paterson!!! You ain't living that's why. You only live once and life is short. of course life will be short if you engage in reckless behavior.